Our team of professional millworkers are talented in a variety of specialties, and each have years of experience. Getting the best results possible is what they do best, bringing their expertise to every project large or small. 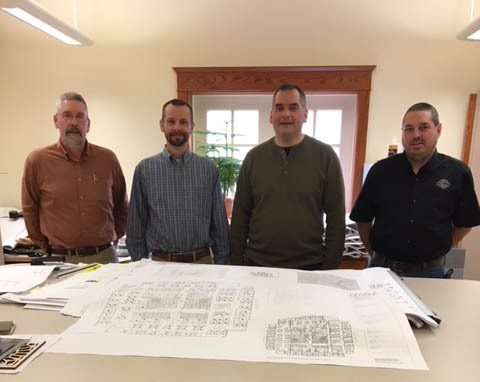 Meet the team behind the amazing work of Boyertown Planing Mill Company. 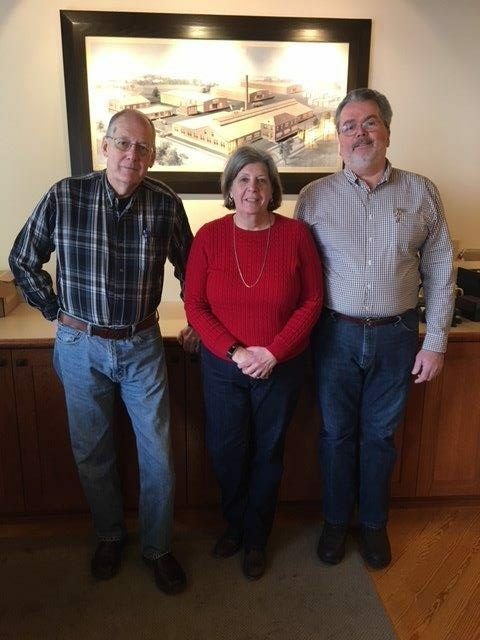 Susan J. Wentzel is President and Co-owner of Boyertown Planing Mill. She and husband Tom bought the Planing Mill in 2006. Sue worked for several years as a bookkeeper for several small companies and has a background in banking. She also worked for a commercial construction company in payroll and benefits. 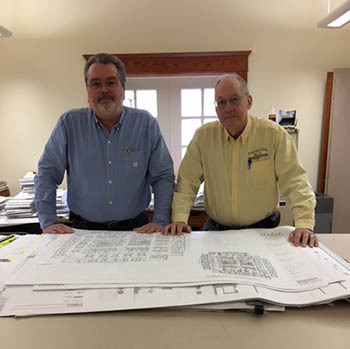 Thomas J. Wentzel is Vice-President and Co-Owner of Boyertown Planing Mill. He has spent his entire career in the construction industry, starting out as a journeyman carpenter in residential construction in the mid-1970’s. He worked in commercial construction in an executive capacity and as an owner in the Philadelphia area from 1986 until 2012. 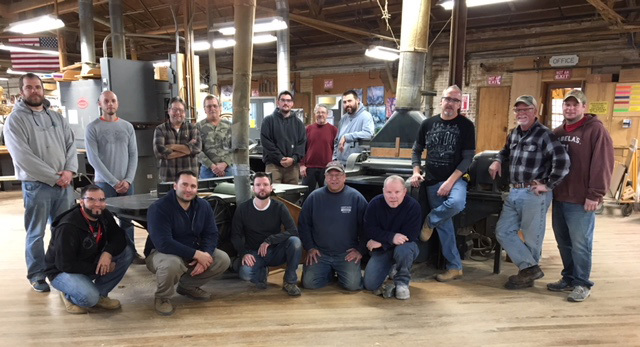 He brings to Boyertown Planing Mill extensive knowledge of the commercial woodworking industry. John F. Bingaman joined Boyertown Planing Mill as General Manager in 2006. He has extensive knowledge in the accounting field and helped develop systems for accounting, estimating and information flow. He is currently an estimator. Left to right: Jack Smith, Travis Shane, Derrick Meck and Patrick Moyer. Jack A. Smith is a Project Engineer. He has worked at BPM since 1986, including 10 years in the mill. His current responsibilities include overseeing specific projects, producing CAD drawings and working with clients to meet the needs of their project. Patrick E. Moyer is a Project Engineer. He has 27 years of industry experience, including 21 years with BPM. He has worked in the mill as a benchman and foreman before moving to the office side of the business. His responsibilities include overseeing specific projects, producing CAD drawings and working with client to meet the needs of their projects. Travis D. Shane is a Project Engineer. He has 28 years of construction experience, including 21 years with BPM in the mill and the office. His responsibilities including overseeing specific projects, producing CAD drawings and working with clients to meet the needs of their projects. Denise M. Poley is BPM’s assistant project manager. She began her employment with BPM in 2007. Her duties include procuring shop and project materials, tracking project submissions and documentation throughout the project and assists the project engineers from inception of project to completion. Denise also assists the estimating department with various tasks. Derrick Meck is a draftsman and engineer. He has been employed by BPM for 23 years. He has worked in the mill as a benchman and CNC operator before moving into the office. His responsibilities include helping the project engineers with fabrication drawings and engineering. Jake Wentzel is foreman of the mill. He began working at BPM after graduating from Thaddeus Stevens College of Technology in 2006. He started in the shop as a benchman and in the case shop before becoming foreman. He oversees all mill production, quality assurance and trucking. Alex Beltran is an assistant foreman. 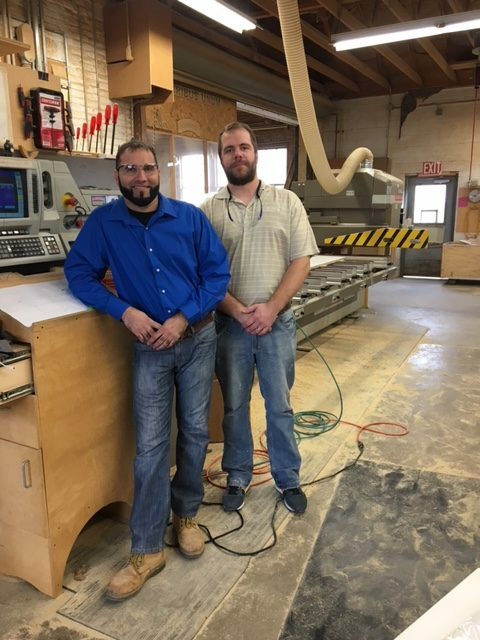 He started working at BPM in 2002 after graduating from Berks Career and Technology Center Cabinetmaking program. He has 15 years of experience with benchwork and working in the case shop. In addition to helping the foreman with his duties he is our CNC programmer and operator. 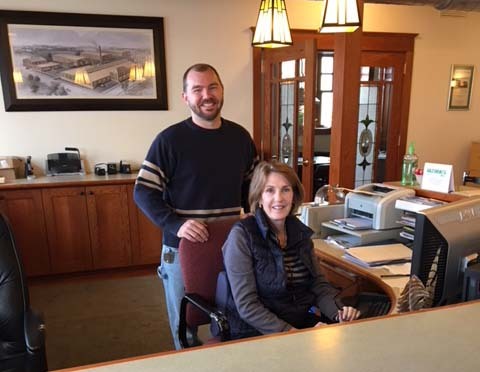 J. Michael Levengood oversees counter sales, custom moldings and wood purchases. He began working at Boyertown Planing Mill in 1977. His responsibilities include managing wholesale lumber purchases and the rough mill and molding departments. Mimi Quillman is the pleasant voice you hear when calling our office. She has been with BPM for 5 years and directs calls and helps with administrative work. Sidney C. Fields is our Billing and Payroll Administrator. He has worked at BPM for 4 years working first as our truck driver before moving to our office in his current position.